We hold a weekly training night every Wednesday evening is school term time, starting from 6:30 pm. These offer an introduction to the sport for novices as well as catering for experienced orienteers wanting to refine their skills. Families should look out for the junior training evenings. 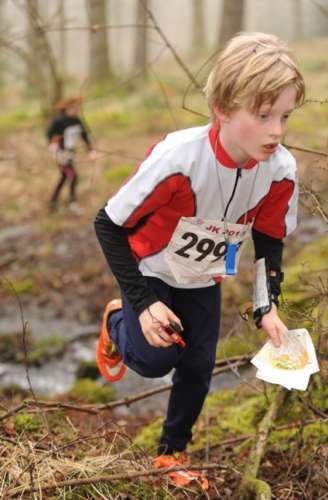 There is also a Training Orienteering League of mini-events.' (Novice are also very welcome to take part in the league). From Autumn to Spring, we lay on full scale events at weekends in areas including Thetford forest; Ampthill, Rowney Warren and other woodland south of Bedford; country parks in and around Cambridge, and also in urban settings - "city races". In Summer, we offer lower key events. Every event offers a range of courses to suit different ages and abilities, and are open to all. Most orienteers travel to events laid on by other clubs and we are part of the East Anglian Orienteering Association. Many of us also compete (or at least take part!) in national events such as the annual JK festival, the British Orienteering Championships, and multi-day events held in Scotland, Wales, and the Lake District. Members can compete as individuals, and we have our own club league (the WAGAL) as well as a regional East Anglian League. We issue nationally recognised awards for individual levels of achievement. There are also events such as the CompassSport Cup and Trophy, and various relay competitions, where the result result is based on a team performance.